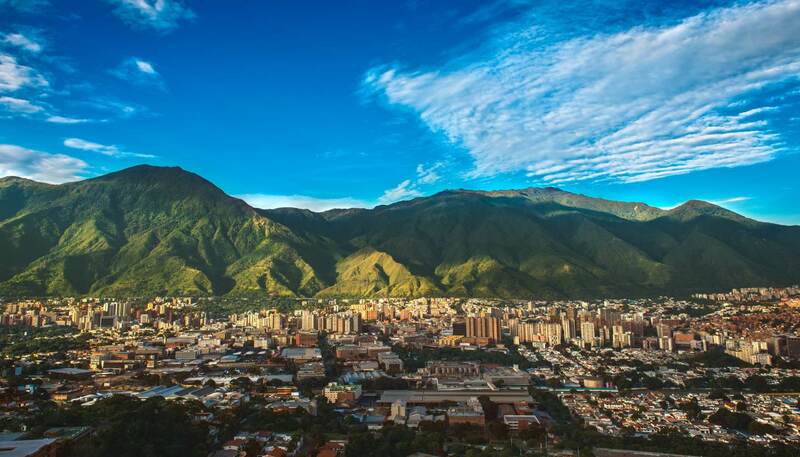 Although Venezuelan businesses are generally up to speed on communications technology, the personal touch remains essential, and some socializing should supplement your email and telephone exchanges. Appointments are necessary and business visitors should be punctual, even though their Venezuelan counterparts may show up a little late. At introductions, a handshake is customary and it is common to exchange business cards. Although English is becoming more widely spoken in business circles, particularly at the executive level, Spanish is essential for most negotiations. Venezuelans like formal titles, so you should address new acquaintances as Señor or Señora. Business people tend to dress formally in Caracas, despite the heat; dark suits for men, smart business outfits for women, and formal matching shoes for both. Most offices are fiercely air conditioned, so you'll often be glad to have a jacket to wear. There are five-star hotels in Caracas and other major cities, with all the usual business facilities. Working hours vary, but are roughly Mon-Fri 0800-1700. Some businesses take a break in the middle of the day - usually from 1200-1500, to avoid the heat of the day. Venezuela was a primarily agricultural country until the discovery of oil in the 1920s. A prominent founding member of the Organisation of Petroleum Exporting Countries (OPEC), the country ranks fifth in the world for oil reserves, and it is among the world's top 10 oil exporting nations. The resource provides 90% of export earnings, half of government revenues and approximately a quarter of the country's GDP (in contrast, agriculture comprises less than 4% of GDP). Overdependence on oil revenues, however, has left Venezuela vulnerable to world price fluctuations. Following an overwhelming electoral victory in December 2006, President Hugo Chávez launched his ‘Bolivarian Revolution’ a 21st century socialist state. He introduced popular grassroots social programmes and nationalised much of the economy, including the energy, agriculture, and finance sectors, somewhat ruffling the feathers of foreign investors. Today, the new government is continuing Chavez’s plan, as well as his vehement anti-American rhetoric. Nevertheless, the US remains the leading trading partner, accounting for more than half of the country's exports (mostly oil). Buoyed by major government investments and increased access to credit, consumer spending jumped substantially in 2007, though at the cost of a 20% rise in inflation. In an effort to boost confidence in the currency, in 2008 the government introduced the Bolívar Fuerte, slashing three zeroes so that a beer now costs about 1 Bolívar instead of 1,000. Inflation remains rampant, however: in excess of 54% at the end of 2013, exacerbated by falling exports. Adding to the mounting economic crisis, the country has had to endure power cuts and shortages of basic foods and goods. In response to rising crime and social unrest, new president Nicolas Maduro has imposed authoritarian controls, clamping down on opponents. Petroleum, aluminium, steel, chemical products, agricultural products. Venezuela does have a network of public payphones throughout most major cities. Visitors can pay either by cash, or by using a prepaid phone card which often works out cheaper per minute. Roaming agreements exist with some international mobile phone companies. Travellers on extended stays might consider getting a local SIM card to insert in their own phone. There are internet cafes in most urban areas. President Hugo Chávez was criticized by outsiders for his attempts to muzzle opponents in the media, with his attempts to silence press criticism of his reforms by threatening to shut down TV stations. In general, however, the Venezuelan press is free to denounce the goverrnment’s policies, and the opposition can be downright scathing in their criticism in the country's main newspapers. Some of the more significant Spanish-language dailies include El Nacional (www.el-nacional.com), El Universal (www.eluniversal.com) and Últimas Noticias (www.ultimasnoticias.com.ve). State-run TV channels include Venezolana de Television and TVes while other channels include private networks Televen, Venevisión and 24-hour news channel Globovisión. Radio Nacional de Venezue is a state broadcaster with several stations, including Canal Informativo and Canal Popular, while Union Radio (www.unionradio.net) is a commercial news network. Mail service from Venezuela to the USA and Europe is unreliable and using the state-owned postal system could take anywhere from a week to a month to arrive, and there's no guarantee it will. National courier services Domesa (www.domesa.com) and MRW (www.mrw.com.ve) are reliable options for handling internal mail. Well established courier companies Fedex (www.fedex.com/do) and DHL (www.dhl.com.ve) offer reliable international mail options.